"Sekigahara" redirects here. For other uses, see Sekigahara (disambiguation). Edo period screen depicting the battle. Oda Nobunaga had slowly consolidated control over much of Japan and was in control of the Shōgun, Ashikaga Yoshiaki. Yoshiaki tried to escape this predicament in 1573 by attacking Nobunaga, but failed and was exiled, thus ending the Ashikaga shogunate. Nobunaga ruled unopposed until he was betrayed by his own retainer Akechi Mitsuhide and died at the Honnō-ji Incident of 1582. Toyotomi Hideyoshi quickly avenged his master and consolidated control over Japan. Hideyoshi had risen from humble roots – his father was an ashigaru (foot-soldier) – to become the ruler of Japan. His death created a power vacuum which ultimately was resolved by the outcome at Sekigahara. Even though Toyotomi Hideyoshi unified Japan and consolidated his power following the Siege of Odawara in 1590, his failures in his invasions of Korea significantly weakened the Toyotomi clan's power as well as the support of the loyalists and bureaucrats who continued to serve and support the Toyotomi clan after Hideyoshi's death during the second invasion. The presence of Hideyoshi and his brother Hidenaga kept the two main factions of the time, which rallied behind Ishida Mitsunari and Tokugawa Ieyasu respectively, from anything more than quarrelling, but when both of them died, the conflicts were exacerbated and developed into open hostilities. With no appointed shōgun over the armies, this left a power vacuum in the Japanese government. Most notably, Katō Kiyomasa and Fukushima Masanori were publicly critical of the bureaucrats, especially Ishida Mitsunari and Konishi Yukinaga. Tokugawa Ieyasu took advantage of this situation, and recruited them, redirecting the animosity to weaken the Toyotomi clan. Tokugawa Ieyasu was unrivalled in terms of seniority, rank, reputation and overall influence within the regency of the Toyotomi clan after the death of regent Maeda Toshiie. Rumours started to spread stating that Ieyasu, at that point the only surviving contemporary ally of Oda Nobunaga, would take over Hideyoshi's legacy just as Nobunaga's was taken. This was especially evident amongst the loyalist bureaucrats, who suspected Ieyasu of agitating unrest amongst Toyotomi's former vassals. Later, a supposed conspiracy to assassinate Ieyasu surfaced, and many Toyotomi loyalists, including Maeda Toshiie's son, Toshinaga, were accused of taking part and forced to submit to Ieyasu's authority. However, Uesugi Kagekatsu, one of Hideyoshi's appointed regents, defied Ieyasu by building up his military. When Ieyasu officially condemned him and demanded that he come to Kyoto to explain himself, Kagekatsu's chief advisor, Naoe Kanetsugu responded with a counter-condemnation that mocked Ieyasu's abuses and violations of Hideyoshi's rules, and Ieyasu was infuriated. Afterwards, Ieyasu summoned the help of various supporters and led them northward to attack the Uesugi clan. Many of them were at that moment besieging Hasedō though. Ishida Mitsunari, grasping the opportunity created by the chaos, rose up in response and created an alliance to challenge Ieyasu's supporters. Ishida, in his home Sawayama Castle, met with Ōtani Yoshitsugu, Mashita Nagamori, and Ankokuji Ekei. Here, they forged the alliance, and invited Mōri Terumoto to be its head. Thus formed what came to be referred to as the Western Army. Mōri seized Osaka Castle for their base of operations, since most of Tokugawa’s forces had vacated the area to attack Uesugi. Japanese arquebus (Tanegashima) of the Edo era. Ishida wanted to reinforce Mōri at the impregnable Osaka Castle. This would let Ishida control the capital of Kyoto and challenge the Tokugawa. To this end, Ishida’s forces headed for Gifu Castle in order to use it as a staging area to move on Kyoto, since it was controlled by his ally Oda Hidenobu. Back in Edo, Tokugawa Ieyasu received news of the situation in the Kansai region and decided to deploy his forces. Ieyasu himself commanded 30,000 men and his subordinates led another 40,000 men. This made up the bulk of what would later be called the Eastern Army. He had some former Toyotomi daimyō engage with the Western Army, while he split his troops and marched west on the Tōkaidō towards Osaka. Since the Tokugawa army departed from Edo, it could only take two roads, both of which converged on Gifu Castle. Ieyasu marched on Gifu while Ishida Mitsunari was delayed at Fushimi Castle. This fortress was a halfway point between Osaka and Kyoto and was controlled by the Tokugawa ally Torii Mototada. Ishida could not risk leaving a force that could attack his rear, so he marched on it. It took him ten days to capture Fushimi, and in that time Gifu Castle had fallen. This forced Ishida Mitsunari to retreat southward in the rain. Tired from a day's march and their gunpowder wet from the rain, Ishida and his forces stopped at Sekigahara. "Ishida deployed his troops in a strong defensive position, flanked by two streams with high ground on the opposite banks. "[attribution needed] His right flank was reinforced by daimyō Kobayakawa Hideaki on Mount Matsuo. On October 20, 1600, Ieyasu learned that Ishida Mitsunari had deployed his troops at Sekigahara in a defensive position. They had been following the Western Army, and benefited from considerably better weather. At dawn of the next day, the Tokugawa advance guard stumbled into Ishida's army. Neither side saw each other due to the dense fog caused by the earlier rain. Both sides panicked and withdrew, but this resulted in both sides being aware of their adversary's presence. Ishida held his current defensive position and Ieyasu deployed his own forces. He sent his allies' forces in a line to the front, and held his own troops in reserve. Around 8:00am, wind blew away the fog, and both sides noticed their respective adversary's positions. Last-minute orders were issued and the battle began. Initially, the Eastern Army had 75,000 men, while the Western Army numbered 120,000. Ieyasu had also sneaked in a supply of arquebuses. Knowing that the Tokugawa forces were heading towards Osaka, Ishida decided to abandon his positions and marched to Sekigahara. Even though the Western army had tremendous tactical advantages, Ieyasu had already been in contact with many of the daimyō in the Western Army for months, promising them land and leniency after the battle should they switch sides. The battle started when Fukushima Masanori, the leader of the Tokugawa advance guard, charged north from the Eastern Army's left flank along the Fuji River against the Western Army's right centre. The ground was still muddy from the previous day's rain, so the conflict there devolved into something more primal. 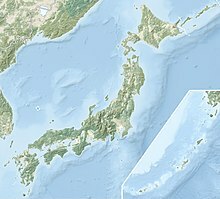 Ieyasu then ordered attacks from his right and his centre against the Western Army’s left in order to support Fukushima's attack. This left the Western Army's centre unscathed, so Ishida ordered this unit under the command of Shimazu Yoshihiro to reinforce his right flank. Shimazu refused as daimyō of the day only listened to respected commanders, which Ishida was not. Recent scholarship by Professor Yoshiji Yamasaki of Toho University has indicated that the Mōri faction had reached a secret agreement with the Tokugawa two weeks earlier, pledging neutrality at the decisive battle in exchange for a guarantee of territorial preservation, and was a strategic decision on Mōri Terumoto's part that later backfired. Fukushima's attack was slowly gaining ground, but this came at the cost of exposing their flank to attack from across the Fuji River by Ōtani Yoshitsugu, who took advantage of this opportunity. Just past Ōtani's forces were those of Kobayakawa Hideaki on Mount Matsuo. Kobayakawa was one of the daimyō who had been courted by Tokugawa. Even though he had agreed to defect to the Tokugawa side, in the actual battle he was hesitant and remained neutral. As the battle grew more intense, Ieyasu finally ordered his arquebuses to fire at Kobayakawa's position on Mount Matsuo to force a choice. At that point Kobayakawa joined the battle as a member of the Eastern Army. His forces charged Ōtani's position, which did not end well for Kobayakawa. Ōtani's forces had dry gunpowder, so they opened fire on the turncoats, making the charge of 16,000 men mostly ineffective. However, he was already engaging forces under the command of Tōdō Takatora, Kyōgoku Takatsugu, and Oda Yūraku when Kobayakawa charged. At this point, the buffer Ōtani established was outnumbered. Seeing this, Western Army generals Wakisaka Yasuharu, Ogawa Suketada, Akaza Naoyasu, and Kutsuki Mototsuna switched sides, turning the tide of battle. Heavily outnumbered, Ōtani had no choice but to retreat. This left the Western Army's right flank wide open, so Fukushima and Kobayakawa began to roll it up. Thus Ishida's right flank was destroyed and his centre was being pushed back, so he retreated. Ishida’s only remaining forces were on Mount Nangu. However, these forces were there for a reason. Kikkawa Hiroie was one of the commanders on the mountain. Kikkawa's troops formed the front lines of the Mōri army, which was commanded by his cousin Mōri Hidemoto. Earlier, when Hidemoto decided to attack the Tokugawa forces, Hiroie refused to comply, stating he was busy eating and asked to be left alone. This in turn prevented the Chōsokabe army, which deployed behind the Mōri clan, from attacking. When Ishida arrived, Kikkawa betrayed him as well. He kept the Mōri army at bay, and since Ishida had no more support, he was defeated. The Western Army disintegrated afterwards with the commanders scattering and fleeing. Some, like Ukita Hideie managed to escape, at least initially. Many others did not. Shima Sakon was shot and fatally wounded by a round from an arquebus and Ōtani Yoshitsugu committed suicide. Ishida, Yukinaga and Ekei were some of those who were captured and a few, like Mōri Terumoto and Shimazu Yoshihiro were able to return to their home provinces. Ishida himself was later executed. Both sides had forces that did not arrive at Sekigahara in time to participate due to other battles. Ieyasu's son Hidetada led another group through Nakasendō. However, Hidetada's forces were bogged down as he attempted to besiege Sanada Masayuki's Ueda Castle against his father's direct orders. Even though the Tokugawa forces numbered some 38,000, an overwhelming advantage over the Sanada's mere 2,000, they were still unable to capture the famous strategist's well-defended position. At the same time, 15,000 Toyotomi troops were being held up by 500 troops under Hosokawa Yūsai at Tanabe Castle in present-day Maizuru, Kyoto Prefecture. Some among the 15,000 troops respected Hosokawa so much they intentionally slowed their pace. Due to these incidents, a large number of troops from both sides failed to show up in time for the battle. If either of these armies participated in the conflict, it could have ended quite differently. Following the public execution of Ishida Mitsunari, Konishi Yukinaga and Ankokuji Ekei, the influence and reputation of the Toyotomi clan and its remaining loyalists drastically decreased. Tokugawa Ieyasu redistributed the lands and fiefs of the participants, generally rewarding those who assisted him and displacing, punishing, or exiling those who fought against him. In doing so, he gained control of many former Toyotomi territories. At the time, the battle was considered only an internal conflict between Toyotomi vassals. However, after Ieyasu was named shōgun in 1603 by Emperor Go-Yōzei, a position that had been left vacant since the fall of the Ashikaga shōgunate 27 years earlier, the battle was perceived as a more important event. In 1664, Hayashi Gahō, Tokugawa historian and rector of Yushima Seidō, summarised the consequences of the battle: "Evil-doers and bandits were vanquished and the entire realm submitted to Lord Ieyasu, praising the establishment of peace and extolling his martial virtue. That this glorious era that he founded may continue for ten thousands upon ten thousands of generations, coeval with heaven and earth." The Mōri clan, headed by Mōri Terumoto, remained angry toward the Tokugawa shogunate for being displaced from their fief, Aki, and being relocated to the Chōshū Domain, even though the clan did not take part in the battle at all. 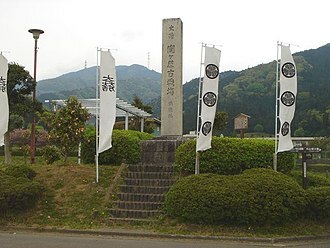 The Shimazu clan, headed by Shimazu Yoshihiro, blamed the defeat on its poor intelligence-gathering, and while they were not displaced from their home province of Satsuma, they did not become completely loyal to the Tokugawa shōgunate either. Taking advantage of its large distance between Edo and the island of Kyūshū as well as its improved espionage, the Shimazu clan demonstrated that it was virtually an autonomous kingdom independent from the Tokugawa shōgunate during its last days. The Chōsokabe clan, headed by Chōsokabe Morichika, was stripped of its title and domain of Tosa and sent into exile. Former Chōsokabe retainers never quite came to terms with the new ruling family, the Yamauchi clan, which made a distinction between its own retainers and former Chōsokabe retainers, giving them lesser status as well as discriminatory treatment. This class distinction continued even generations after the fall of the Chōsokabe clan. The descendants of these three clans would in two centuries collaborate to bring down the Tokugawa shogunate, leading to the Meiji Restoration. Legend has it that the rōnin Miyamoto Musashi was present at the battle among Ukita Hideie's army and escaped the defeat of Hideie's forces unharmed. Musashi would have been around 16 years of age at the time. There is no hard evidence to prove if Musashi was present or not for the battle. According to one account, the Musashi yuko gamei, "Musashi's achievements stood out from the crowd, and were known by the soldiers in all camps." Musashi is reticent on the matter, writing only that he had "participated in over six battles since my youth". ^ a b c Davis 1999, p. 204. ^ a b Bryant 1995. ^ Yoshikawa, Eiji. Taiko. Kodansha International. ^ a b c d e f Davis 1999, p. 205. ^ Bryant 1995, p. 8. ^ a b Bryant 1995, p. 10. ^ Bryant 1995, pp. 12, 89. ^ Bryant 1995, pp. 12, 90. ^ Davis 1999, pp. 205–206. ^ a b Bryant 1995, pp. 89–90. ^ a b c d e f g Davis 1999, p. 206. ^ a b c d Davis 1999, p. 207. ^ Bryant 1995, p. 73. ^ Bryant 1995, pp. 66, 68. ^ a b c d Bryant 1995, p. 80. ^ Bryant 1995, p. 51. ^ a b Bryant 1995, p. 79. ^ "Tanabe Castle Profile". jcastle.info. ^ Bryant 1995, p. 91. ^ Bryant 1995, p. 84. ^ Bryant 1995, p. 82. ^ Davis 1999, p. 208. ^ Hoffman, Michael. "A man in the soul of Japan", Japan Times (Tokyo). September 10, 2006. ^ Wilson 2004, p. 33. ^ "関ヶ原古戦場" [Sekigahara ko-senjō] (in Japanese). Agency for Cultural Affairs. Davis, Paul (1999). "Sekigahara, 21 October 1600". 100 Decisive Battles: From Ancient Times to the Present. Oxford University Press. ISBN 978-0-19-514366-9. Wilson, William Scott (2004). The Lone Samurai: The Life of Miyamoto Musashi. Tokyo: Kodansha International. Paul Davis used the following sources to compile the chapter "Sekigahara, 21 October 1600" in 100 Decisive Battles: From Ancient Times to the Present "Sekigahara, 21 October 1600." SengokuDaimyo.com The website of samurai author and historian Anthony J. Bryant. Bryant is the author of the above-mentioned Sekigahara 1600: The Final Struggle for Power.